Need some new cocktail recipes to add to your lineup? Check out this list of best cocktail apps! They will give you plenty of ideas to try out behind the bar with the booze you have on hand. Cocktail shaker not included. The Drinkspiration app is the product of Absolut vodka. 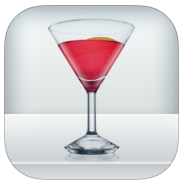 The app contains over 500 cocktail recipes, mostly focused on drinks with Absolut vodka. The collections tab has many of their infused vodkas along with a handful of cocktail recipes for each one. This is really helpful if you've ever wanted to pick up a bottle of Absolut's flavored vodka but weren't sure what to do with it (Absolut Cilantro, anyone?). In addition to the cocktail recipes, the learn section is full of bartending tips for everyone from beginners to advanced along with short how-to videos. I like that this app goes beyond cocktail recipes to also help teach how to make drinks and that it features various classic cocktails along with new drinks. The search function can be a bit frustrating to navigate at first, but after playing around with it for a bit, you'll figure it out. 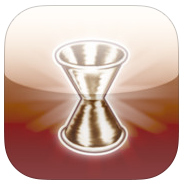 Get It!^ Drinkspiration is available for free in iTunes and Google Play. In the early to mid-1900s, tiki drinks became popular thanks to Don the Beachcomber and Trader Vic. While these drinks aren't quite as popular today, that doesn't mean they have gone away. With the Beachbum Berry's Tiki + app, you'll find over 150 tiki drink recipes ranging from the Aka Aka Lapu to the Zombie cocktail. Ingredients, directions, an image and a little history are included with each cocktail recipe. The help section of the app even gives more information on what tiki drinks are and how to make them. 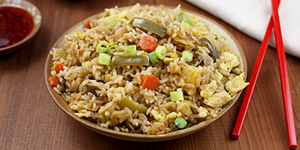 I really like how easy this app is to navigate and the note section included in each recipe (perfect if you like to play around with different ingredients like I do). The other thing that makes me happy about this app is that if you tap on an ingredient, a new screen will appear telling you more about the ingredient and what to use as a substitute if needed. The price of the app is a little steep at $4, but I believe it's well worth the cost if you want to try some wonderful tiki drinks. 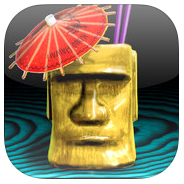 Get It!^Beachbum Berry's Tiki + app is available for $4 in iTunes. The master bartenders behind NYC's Milk and Honey bar created the beautiful cocktail app, Bartender's Choice. This app contains a variety of cocktail recipes ranging from classics to moderns, listed alphabetically. Each drink has an image, recipe and a quick story on its creation. The details section gives more information on various cocktail tools such as the muddler and jiggers as well as essential ingredients like ice and syrups. My favorite feature of this drink recipe app is the "I feel like" section. Users can enter what they are in the mood for with the categories of alcohol, sensation, style and extras and the app will suggest drinks to try. Some quick how-to videos would be a great addition to the app, but other than that I'm very happy with it. Get It!^Bartender's Choice app is available for $3 in iTunes. If you enjoy flipping through the pages of magazines for recipes, you'll really like the Food & Wine Cocktails app. This app features over 350 cocktail recipes and drink-friendly food. Drink recipes are submitted by some of America's top bartenders and can be searched by base spirit or type (classic, update classic and creative). In addition to various cocktail tips, this app also lists some of the top bars in the world to visit. I love the beautiful photographs in this app as well as the creative cocktail recipes. I'm not a fan of the ad at the top of the screen on some pages, but I won't complain too much about that since the app is free. 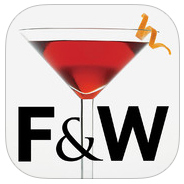 Get It!^Food & Wine Cocktails is available for free in iTunes and Google Play. Designed to be more of a book than an app, Speakeasy Cocktails was created by two top bartenders, Jim Meehan and Joseph Schwartz. The first four chapters cover the speakeasy (old and new), gear, techniques and stocking your home bar. The rest of the chapters provide over 200 cocktail recipes sorted mainly by base spirits with easy-to-follow directions. In a few sections, links are provided to buy various tools, spirits and syrups which is really handy (especially if you're just getting started on stocking your bar). This is the app I would love to curl up in a comfy chair with, cocktail in hand, and read for hours. Because of its $10 price tag, I would recommend it only for those serious about cocktails and mixology. If you're just looking for recipes and don't want to learn more about spirits and techniques, choose a different app. 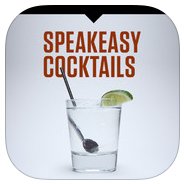 Get It!^Speakeasy Cocktails is available for $10 in iTunes. Because drinking is typically a social event, BarNotes created their cocktail app to also be social. Users can upload their own images, drink recipes and whatever other details they want to share with friends. Similar to other social networking sites, the app has a news feed showing drinks users have shared and other users can like, comment and share the posts. 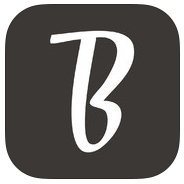 Get It!^BarNotes is available for free in iTunes.